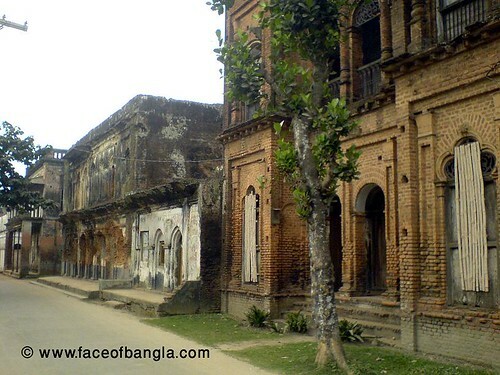 Sonargaon (সোনারগাঁও) is about 14 km from the Dhaka city, on the South-East side of the Dhaka-Chittagong high-way.The Sonargaon's old name was Subarnogram (সূবর্ণগ্রাম). 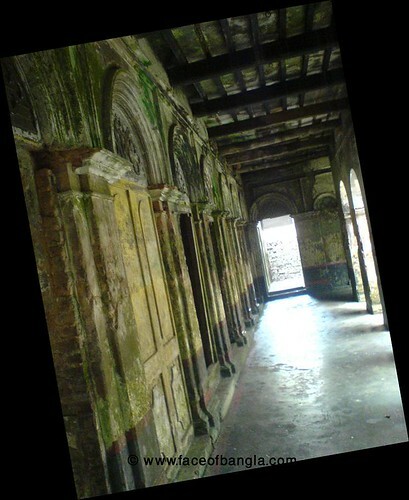 In 14th century Fakhruddin Mubarak Shah at first established Sonargaon as city. 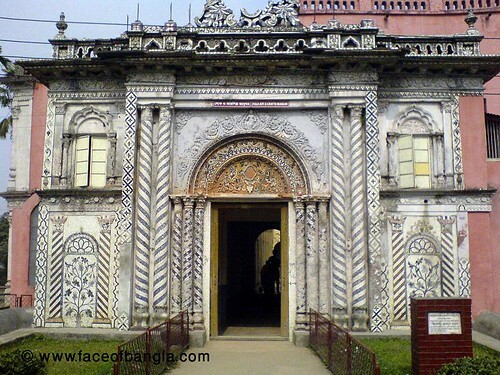 Moghal samrat Acbor's soldier Manshingha (মানসিংহ) attacked the Sonargaon but Esha-kha (ঈশা খা) kept up the dignity of Sonargaon against Manshingha. 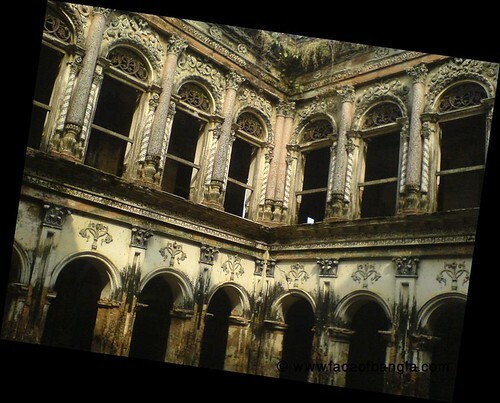 After death of Esha-kha, the possession of Sonargaon had gone to the Moghal. 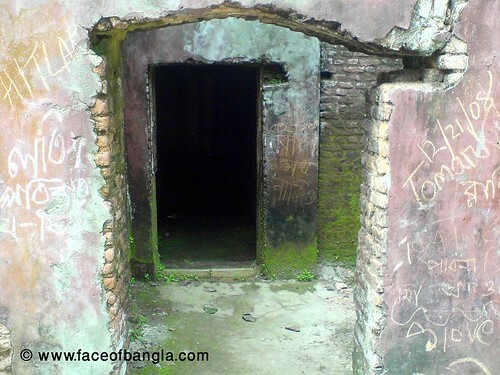 Then the Moghal subedars shifted the capital of Bangla from Sonargaon to Dhaka. 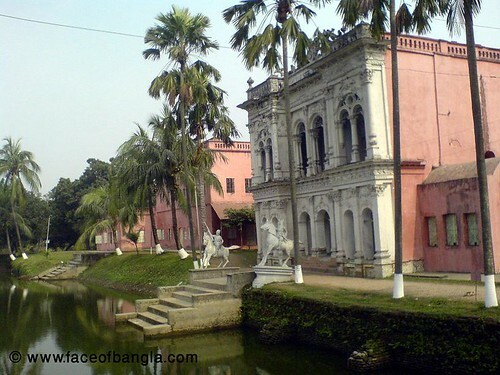 Now the Sonargaon is reputed with the Museum of Human-Art. 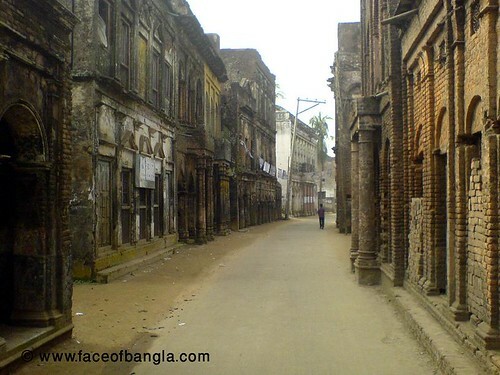 Also here is a large market of Handicrafts. 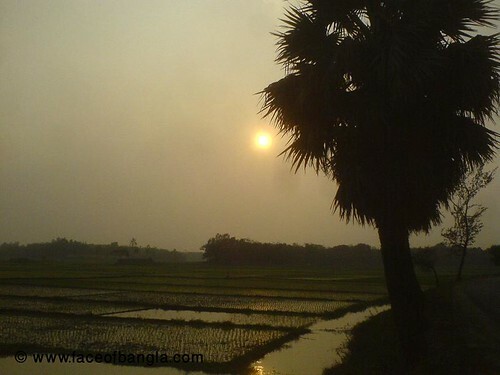 Sun set view on the way to Tajmahal. 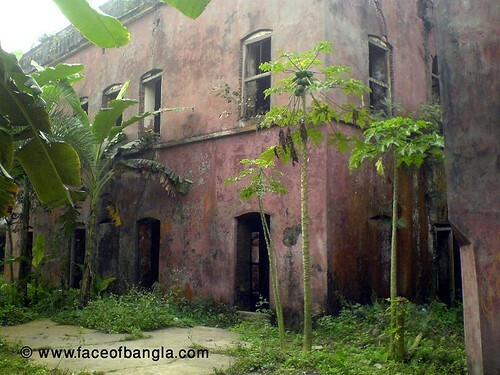 This is the Land lord house. 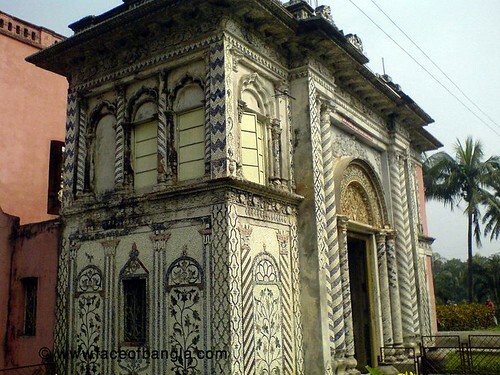 But nobody to supervise this captivating structure. 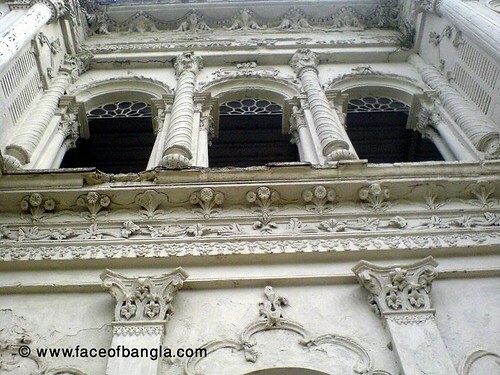 Visitors write here and there and spoiling the elegance of this building.